Wasps have moved a step closer to building a new permanent training base in the West Midlands. The Premiership club, who relocated to Coventry's Ricoh Arena in 2014, hope to establish a new training ground in Royal Leamington Spa, Warwickshire. Members of Old Leamingtonians RFC have agreed a majority vote in favour of the club setting up home there. 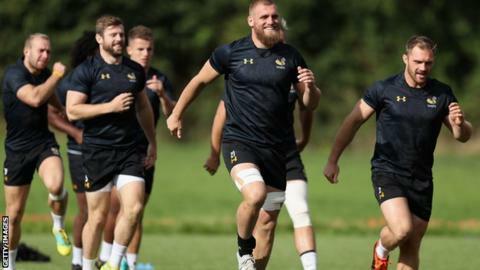 Wasps, who currently train at Broadstreet RFC in Coventry, will begin working on a planning application. "We are grateful for the co-operation of Old Leamingtonians, along with other stakeholders and third parties, and look forward to working with them in the future to deliver a top-quality training centre," said chief executive Nick Eastwood in a club statement.